A few days back UPSC (Union Public Service Commission) conducted a combined defence service examination. Those who appeared in this entrance examination can now check their result by clicking on the link which we shared under IMPORTANT LINK section at the Last of this post. 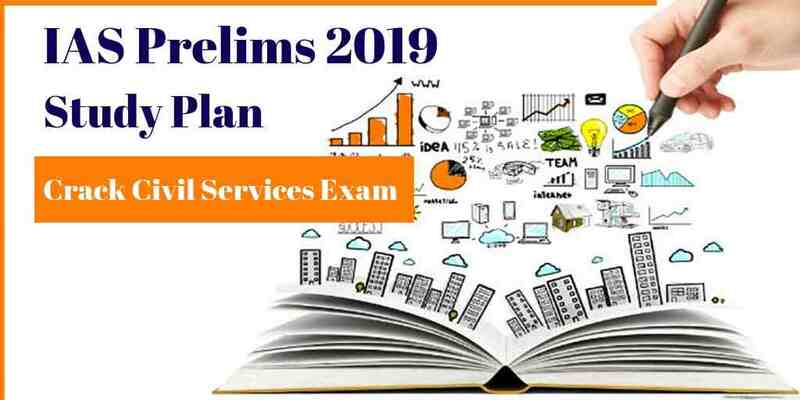 UPSC Department conducts this examination 2 times in the year. This one is the UPSC CDS-1 exam. 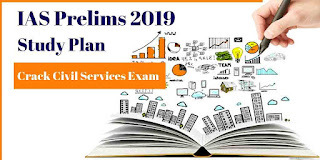 UPSC Recruitment department Uploaded Combined Defence Service CDS I Result 2019 on their official website. Examination Date: 03 Feb 2019. Here comes the new ECIL Career making opportunity for Technical officers, Scientific Assistant and Jr. Artisan posts. There will be direct interview for the selection for the candidates who satisfied all the eligibility conditions which we explained below in this article. Read the complete article carefully before applying for this ECIL Career making opportunity 2019. 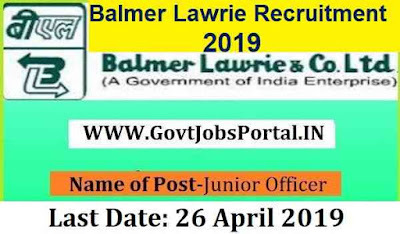 Introduction About this CGPSC Notification: Here comes the new employment CGPSC notification related to the recruitment process for Librarian and Sports Officer posts. There are 117 vacant posts which are going to be filled up through this Public service recruitment process 2019. 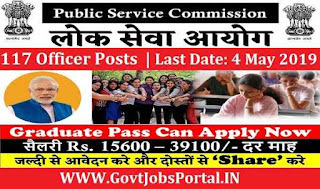 Chhattisgarh Public Service Commission invitations to all applicants for this open PSC Recruitment 2019. 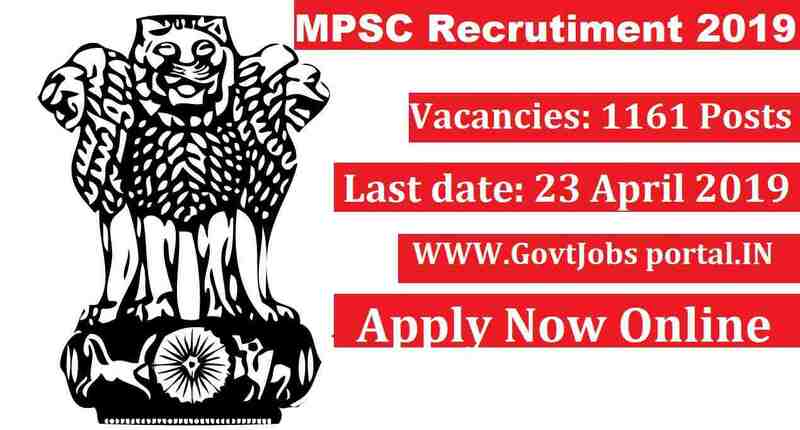 The online Govt jobs Application is invited from Indian Residents for the following 117 Sarkari Naukri officer vacancy posts. CGPSC was designed under the provision of Act 315 of the Constitution of India on 23rd May 2001. CGPSC is responsible to conduct Employment exams for the recruitment in the state of Chhattisgarh through various CHPSC Notification. More information related to these Govt jobs in Chhattisgarh is given below in this article. Read it carefully before applying. Education: Graduates with 55% marks in Library science, Information Science & Documentation Science. Education: Must have a Graduate degree in Physical Education can apply for these posts. Pay Band: Pay Level-10 Starting Rs. 57700/. 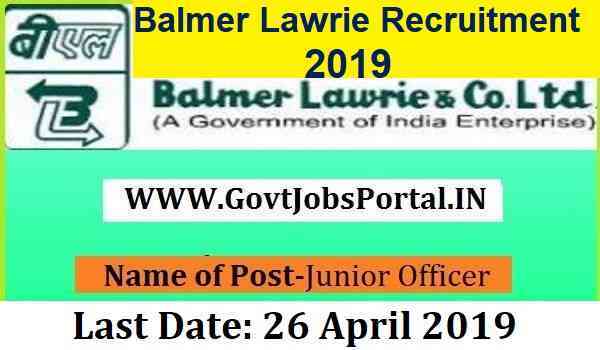 Age Bond: For applying the above job profiles under this CGPSC Notification applicants age must be in between 21 years - 30 years as on 01/01/2019. 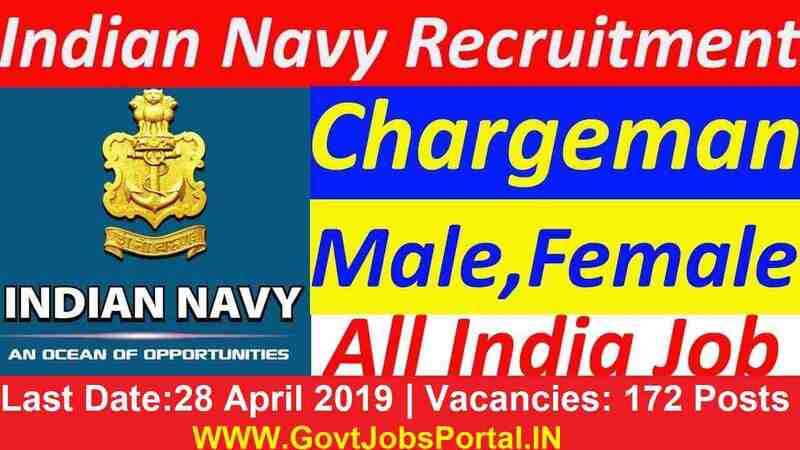 Brief Statistics About these Navy Jobs: Indian Navy recruitment department has presented an announcement for the employment of Chargeman (Mechanic), Chargeman (Ammunition & Explosive) positions classified as Group ‘B’. 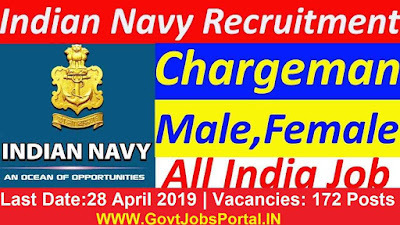 Persons who are concerned with this Indian Navy vacancy details & also accomplished all suitability standards can read the Notification & Apply Online. Navy Recruitment department announces that they are going to fill up 172 vacant posts through this employment process. Check out the various table below to know more about this recruitment process. LIC (Life Insurance Corporation of India), is the prime insurance corporation in the Nation. It is a public-sector insurance corporation under Government of India. To work with the LIC association is always considered extremely respected. There is a massive possibility for development at both individual and professional levels when you join this organization. LIC has freshly out the LIC AAO 2019 notification for the employment of AAO (Assistant Administrative Officers)under one of the following trades: “Generalists, IT, Chartered Accountant, Actuarial, and Rajbhasha)”. 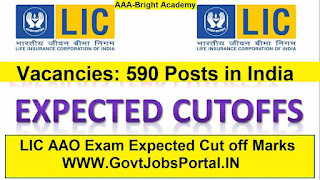 Overall 590 AAO vacancies have been announced in the official Advertisement. This is a massive chance for those who are looking for a job at this admired association. 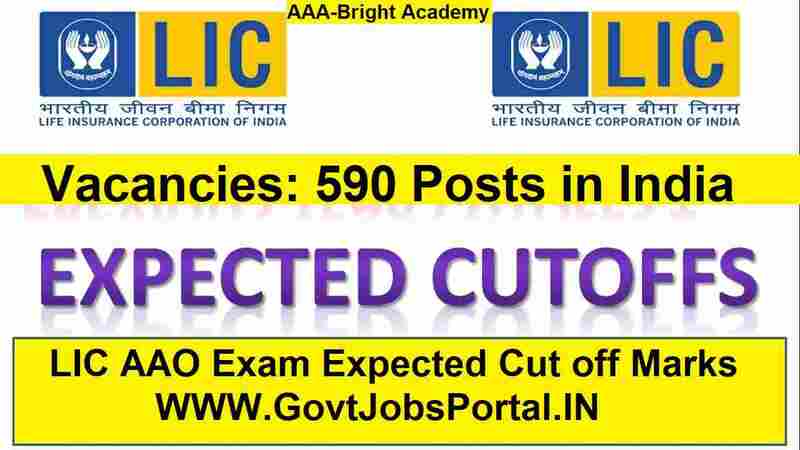 We share the video below related to the LIC AAO Exam Cut off Marks. Watch the video carefully to know about the expected cut off marks. 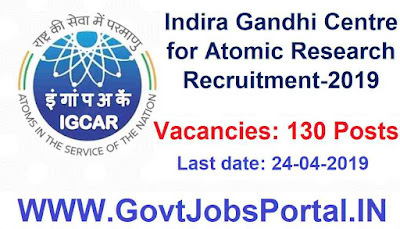 IGCAR which is stands for “Indira Gandhi Centre for Atomic Research”. 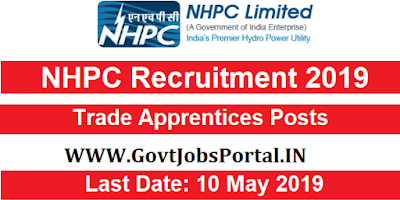 IGCAR Recruitment department is looking to recruit fresher applicants for Trade Apprentices posts under various trades. 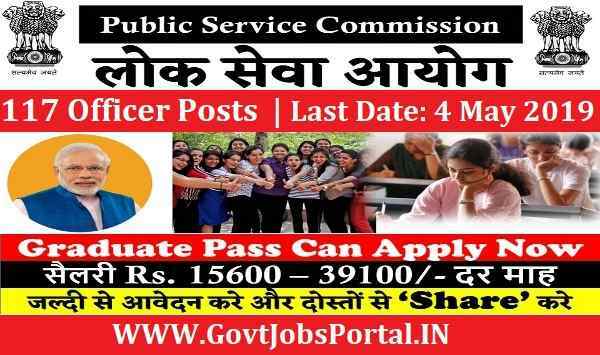 Great opportunity for ITI pass candidates to grab a Government jobs in India. 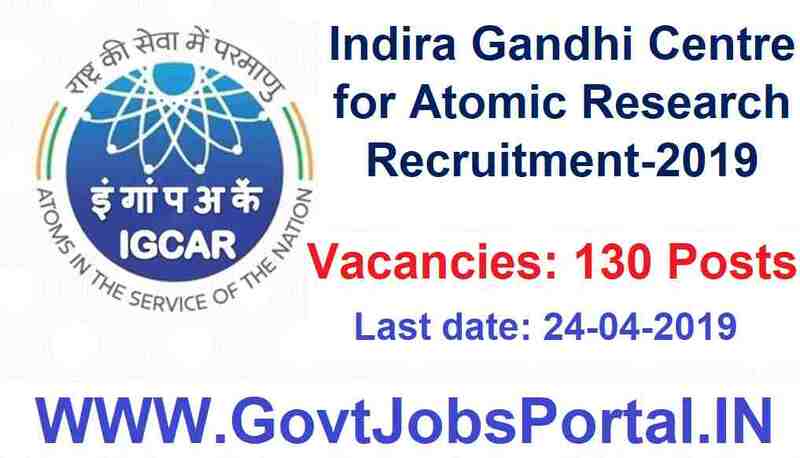 Indira Gandhi centre of Atomic Research department is looking to filled up 130 vacant positions through this recruitment procedure. 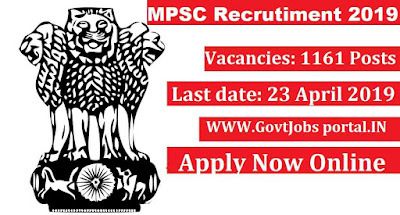 We explained more about these Government jobs in India below in this article. Read the complete article carefully before applying online for this IGCAR Recruitment.